Wake up one fine morning to walk along the shores of an endless ocean, only to find yourself stranded. You have nowhere else to go for the next few days. What would you do? Well, enjoy your time, of course. Let’s make the most of the time and engage in some fun activities by the beautiful stretch of the virgin beach, full of eateries and people, yet so fulfilling and soothing. Here’s what you can do on your vacation at Virginia Beach, the popular and most populous city of Virginia. When we say sea creatures, we mean sea animals: fish, dolphins, and more. Go swimming at designated areas, try paddle-boarding or kayaking, take your kiddies to the aquarium, attend a dolphin-watching tour, or try deep-sea fishing. Whether you take up a chartered boat or the famous pirate ride with Captain Jack, you are bound to get hooked for an entire day. Additionally, you can go to the adventure parks or admire the untouched beauty of the False Cape State Park. Dine by the dockside to make the most of your time with your loved ones over a meal. Sip cocktails and enjoy the view overlooking the expanse of the ocean. What exactly are you looking for: bistro, seafood, doughnut and dessert, or some fine-dining outlets? You’ve got them all here. Are you the kind who likes to spend time pondering over the history of a city, delving into minute details, or do you simply love museum-sighting? 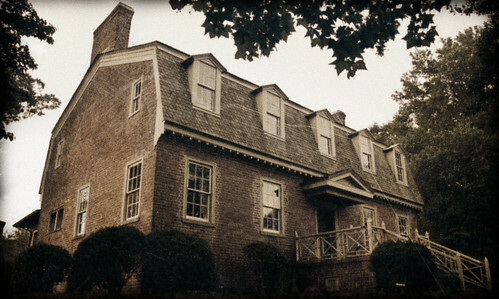 If yes, head to Lynnhaven House, a marvelous piece of architecture, Francis Land House, Virginia Beach Surf & Rescue Museum, or the Military Aviation Museum. Fans of Walt Disney artwork must proceed to Tomstone Animation Art Gallery & Studios. Don’t forget to have breakfast or lunch at their café. If you have time, take up a guided tour at the Christian Broadcasting Network. Virginia Beach is home to the best hotels and resorts in the city. If you simply want to enjoy a laid back vibe, relax by the Sandbridge Beach or walk the trails of Lake Lawson. Pave your way through the Virginia Legends Walk to honour significant contributors, or get a glimpse of the rural side through the Farmers Market selling fresh produce (check dates in advance). Don’t worry; we don’t want to set up a fitness regimen for you. Walk along the wondrous 3-mile stretch of the Virginia Beach Boardwalk, rent a bike, get your roller blades, and stop by musicals, shops, and restaurants of the ever-lively centre. Tip: If you are a music lover, check the dates of music festivals, oceanfront fests, and amphitheatre shows in advance. There is a lot happening at Virginia Beach. A single post is not enough to cover it. This post has been compiled by input received from my friends who live around Virginia and refuse to disclose their names, but I thank them anyway. I would love to visit Virginia Beach! I’m a big fan of boardwalks, as they tend to be lively with the best people watching! 3 miles is quite the hike – I’d love to go for a morning run there before the crowds pour in! Happens. We end up missing out on spots closest to our home. That’s right… it’s a stretch full of activities. 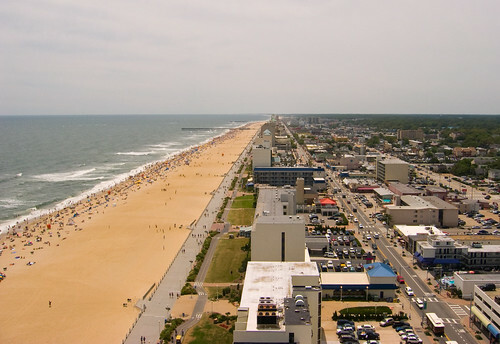 3 miles long beach of Virginia is totally paradise for beach lovers. Dine with water view is the perfect thing for me as I love to dine with a view. 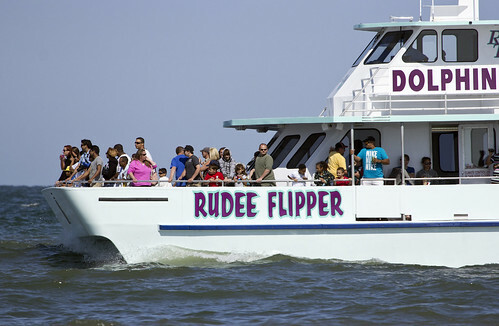 Kids would really love to connect with sea creatures and even for me, dolphin watching must be so fun. I’m from the DC area and used to visit Virginia Beach every summer as a kid! This post brings back memories. I can’t believe I never checked out any of the museums before, will have to make my way down there next summer to check them out! Happy to take you on a stroll down memory lane 🙂 Yes, looks relaxing indeed. Those photos remind me so much of the North Carolina coast I grew up visiting! Makes sense–they’re not very far apart! Virginia Beach looks like a great place to relax and enjoy the waves for a few days. Wow! That must’ve been quite an event to witness… Excellent!! I love the look of the promenade stretching right alongside the beach! One of my favourite things to do is walk alongside a beach but not necessarily on the sand haha. Virginia Beach looks like a great place to relax but also with plenty of things to do! I’ve never been or heard of Virginia Beach. It looks like a sandy stretch of paradise that I wouldn’t say no to. Kayaking or seeing any sort of sealife would be great, and a cocktail watching the sunset is never a bad thing! I remember visiting Virginia Beach once during a sand castle building competition. They built so much more than castles. They were really more like sand sculptures. Virginia Beach there is so much to do at Virginia Beach. Oh, it is magical I bet! One can easily bike alongside without the fear of anyone running into you. It’s always nice to read posts made up of the input of different people and the perspectives they bring. This is especially good when these contributions are made by people who live locally and speak from their experience. 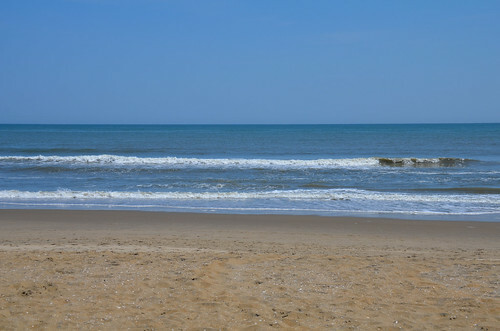 Virginia Beach is certainly somewhere I would love to spend some time – great options and lovely photos. Virginia Beach looks very pretty (and long! 3 miles, wow!). I bet it’s nice to cycle alongside it. Are there bike paths? There is a promenade to the beach in my city as well but cycling is forbidden in summer because there are too many people. I bet that dining at one of the restaurants there, with the sea view in front must be magical, especially at sunset.